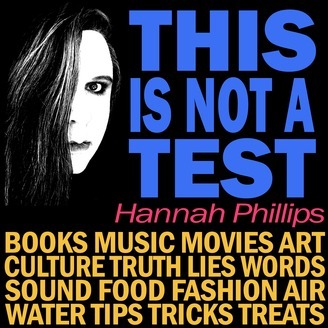 THIS IS NOT A TEST is Los Angeles author and musician Michael Phillips talking about books, music, movies, art, culture and truth. In this ear-crushing aural assault on the senses, artist and author Carol Es talks to us on the day her debut memoir Shrapnel in the San Fernando Valley is published. 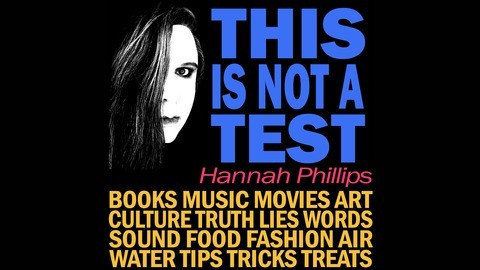 Okay, it's not really an "ear-crushing aural assault on the senses," it's just an interview, but lend a crushed ear to hear about Carol's adventures in writing and publishing a book, as well as her take on how Scientology ultimately affected her approach to the book (probably not in the way you might think), how her friends and family have reacted (before even reading the book), about her upcoming book launch/art show at the Craig Krull Gallery in Santa Monica, and how ultimately the truth will always set you free.